What can be better than a bouncy castle? Not much really apart from our brand new for 2017 bounce and slide combo. Children will spend hours and hours bouncing and sliding on our new Superhero Themed Bounce And Slide Bouncy Castle. 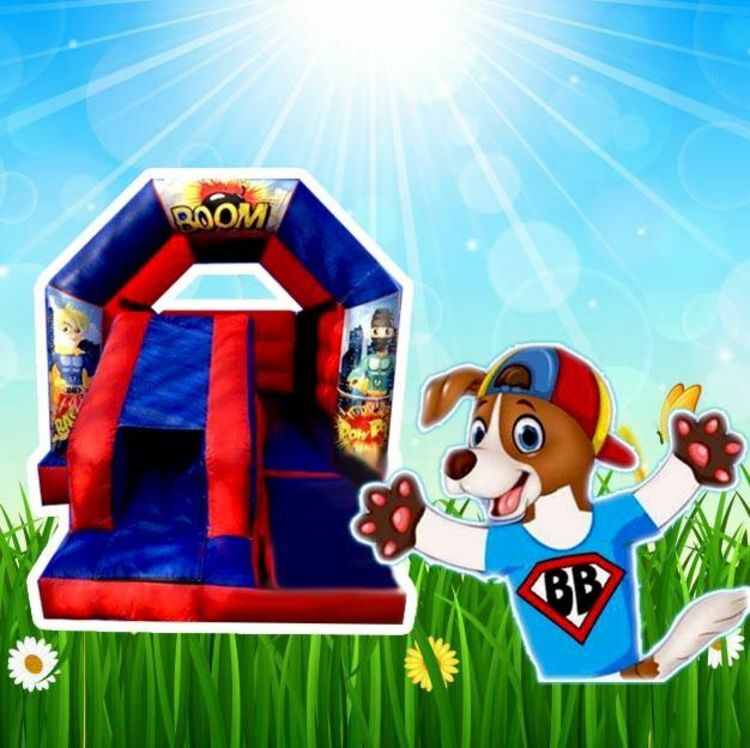 Perfect for people looking to hire a bounce and slide to go into a smaller garden with the slide been positioned at the front as apposed to the side, no real space is lost on the bouncing area either on this fantastic product from Bounce Buddies Wakefield due to the slide largely replacing the entrance step.